October is here and there are just a few more months until the biggest time of year for e-commerce order fulfillment. Most retailers see the biggest spike in sales during the winter holiday season, and that’s why you need to be sure you’re set up to reap the biggest rewards of the year. If your holiday fulfillment strategy is not up to par with your competitors, you may lose incredible amounts of profits to other retailers who are ready. Here are some important tips for how you can get the most out of the holiday season. One of the primary concerns for consumers is whether their orders will arrive on time. API and other similar technology can help you track and understand complex inventory and shipping processes to better manage costs. Cloud-based solutions are also a faster method of sharing and viewing real-time information with partners involved in the supply chain process. With the help of technology, you can help your customers get faster shipping, and a more personalized, visible shopping experience at your store. If you are a retailer that needs to order products months ahead of the holiday rush, now is the time to begin placing those orders. It is also wise to examine the best-selling products and ensure you have enough of them on-hand in inventory to accommodate the rush. One of the advantages of running an e-commerce retail operation is that you can sell your product to anyone, anywhere. However, during the Christmas rush, these long distances can become challenging to manage. It can take over a week for ground packages to be shipped to long distances within the same country. Ahead of the holiday, spend time marketing to the local areas near your warehouses. By investing your money into customers, you can reach within two business days with ground service, you can offer free, two-day shipping ahead of the holidays without missing a timely delivery. Be sure you have enough supply of boxes, bags, packing tape, materials, stuffing, and printer ink ahead of time to prepare for the increase of packing during the holiday. Now may be a wise time to upgrade your tools by ordering tape guns, scales, and packaging dispensers, to help your staff move faster. By working with a scalable 3PL provider, you will be able to keep up with the rush. Since big retailers are offering perks like two-day shipping and free shipping options, you will need to improve your shipping and delivery policies. Customers expect fast, affordable solutions at the click of a button, especially during the holidays. When they are working on tight timelines, you need to be able to provide service that meets their expectations. 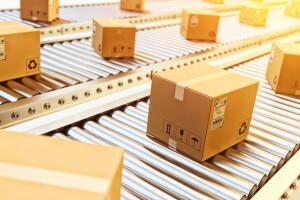 It can seem daunting for smaller businesses to offer the same speed of delivery, compared to giants like Amazon, but you can leverage with a 3PL provider’s fulfillment centers to get your products to your customers faster. The holiday season is a time when customers will make more impulsive shopping decisions as they shop for themselves and their friends and family. Especially if you have an e-commerce store, you need to have a robust reverse logistics process in place once the holiday is over. Since most returns are made in the new year, you need to be sure you can provide policies that make returns easier for customers, and that you have strategies to reuse or resell returned products once they are back in your warehouse. Whether you handle returns on your own, or work with a 3PL provider, be sure this process is as straight-forward as possible for your customers. You should also think digitally about this—do you have a process that inputs inventory returns into the system as quickly as possible? The sooner you get in touch with a 3PL partner, the better. Setting up before the holiday rush will help you have the staff you need to handle the increase in orders and make sure you are carefully tracking your operations to provide your customers with the information they need. There are many benefits to working with a 3PL provider, whether you have a large business or run a smaller operation. If you’re gearing up for a busy holiday season, now is the time to start preparing for the changes. Working with a 3PL provider is the best way for you to achieve scalability and efficiency during such an unpredictable time. If you need to keep up with reverse logistics, inventory management, customer satisfaction, and more, and feel overwhelmed by the many responsibilities ahead, let a 3PL partner take the load off for you. Lean Supply Solutions is a scalable company that uses Lean Methodology to help its clients. We are aware of the rising trends in the industry and always strive to stay up to date. We commit to awareness of your operational challenges, especially during the busy holidays, and will help you have a successful season. Our 3PL, packaging, and supply chain management services can streamline your processes for better efficiency and speed, and we can help you get the right products to the right customers at the right time. Our services are consistent, accurate, and quality, and we can help you achieve amazing results. If you’re considering upgrading your business by working with our 3PL distribution team, contact us today.